Learning how to dehydrate cheese is a clever way to keep cheese viable for a much longer period and to maintain it without refrigeration. 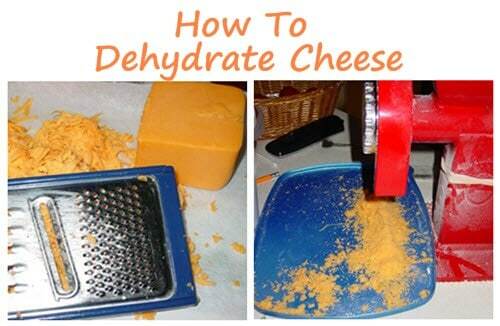 This clever tutorial will take you through each step of cheese dehydration and includes several helpful tips to make the process easier and more successful. The author is wonderful about noting what things she might have done differently and offering great insight into what things she would have changed as she moves through the entire process. Additionally, the supply list is very basic and will include many items that you likely already have on hand (cheese, grater, paper towels or Paraflexx sheets, and your dehydrator).